Spring is coming! It’s been nice to have some warm weather for the last few days – the first temperatures above freezing we’ve had for several months. It makes me remember that spring will really come someday. 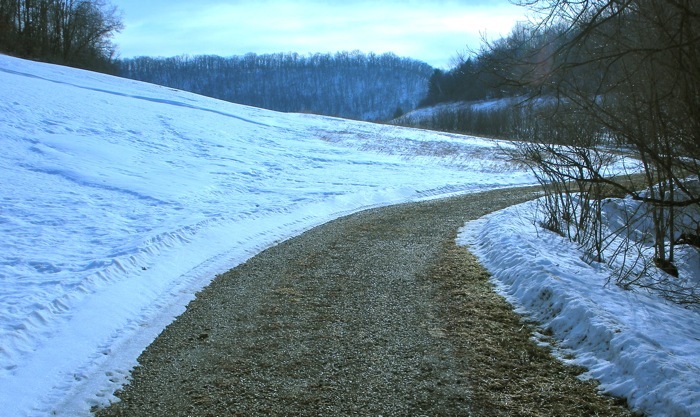 On Sunday the temperature got up to 50 degrees F.
Here’s the driveway that first warm day – still very snowy. The next day – Monday. Still snow on the driveway – actually now it’s mostly ice. But lots of gravel showing – making our walks much easier. 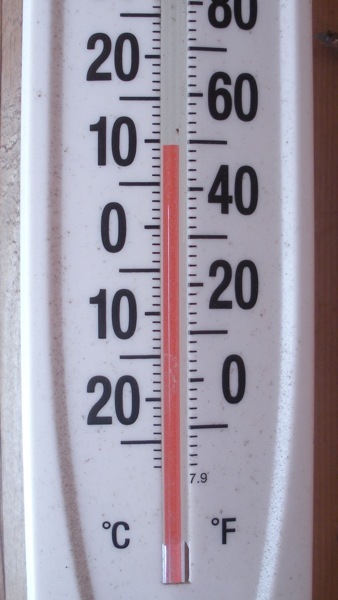 Wednesday – the fourth day of 40 – 50 degree weather. 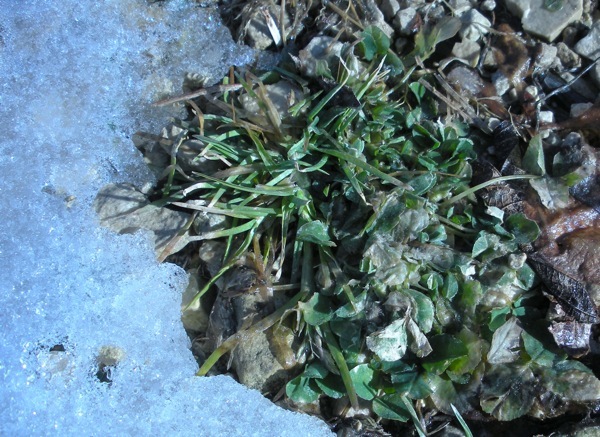 And the little driveway plants – mostly weeds – clover and bluegrass – are turning green. 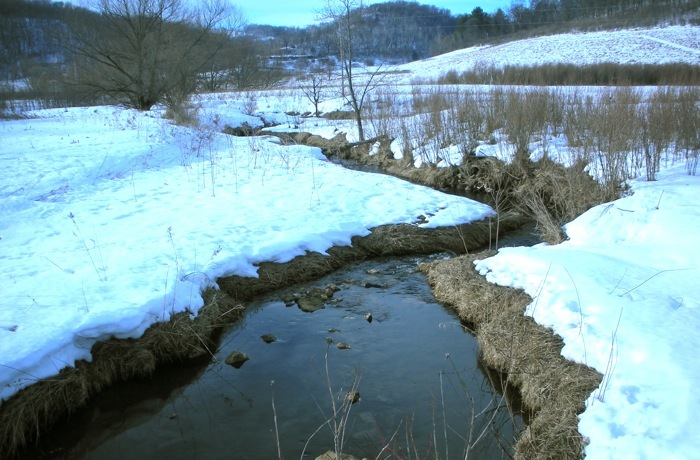 The snow at the edges of the creek is melting too. 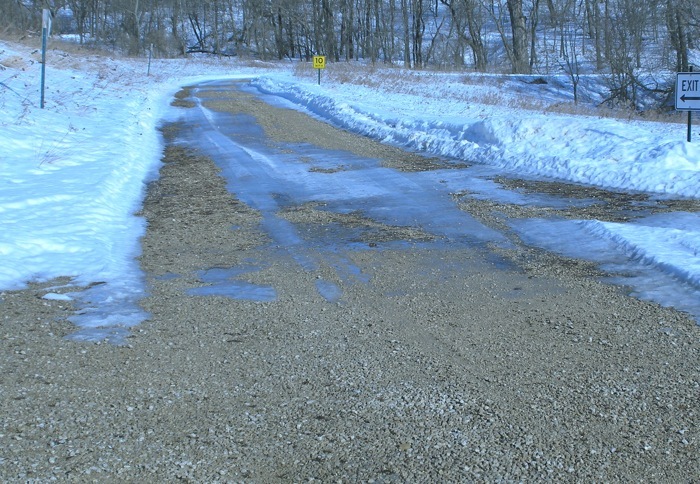 No flooding yet – we’re hoping the snow will keep melting slowly, like this, so our road won’t get washed away again. I’ve also been watching Sumac Prairie – our steepest prairie remnant. It faces the road, so it’s easy to watch to see how much snow is left. This is Sunday – the first warm day. 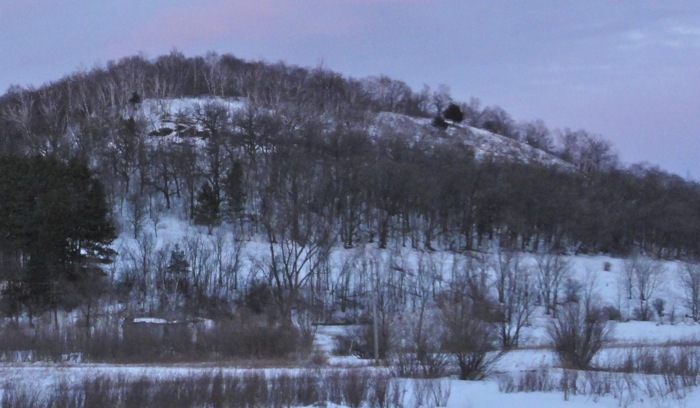 Still plenty of snow on the hillside. Monday – the snow is disappearing. 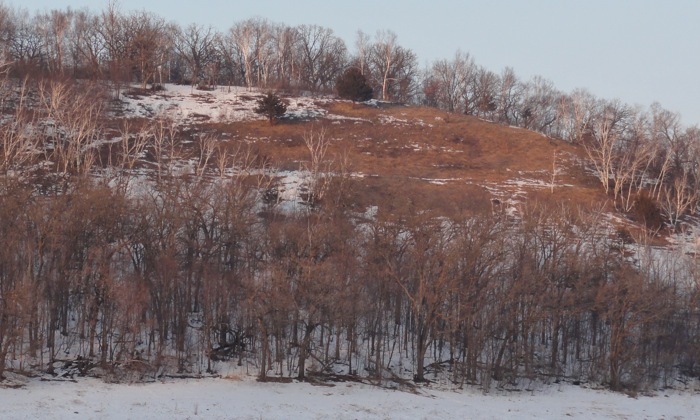 Wednesday – almost no snow at all on the prairie. 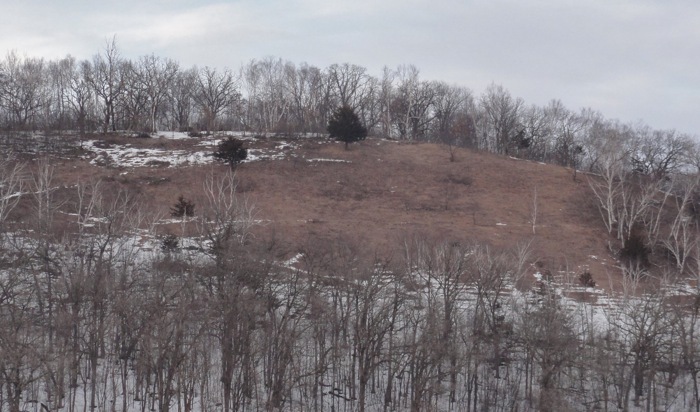 The area on top that still has snow, is the area we cleared last fall. I’m not sure why the snow stays longer there. 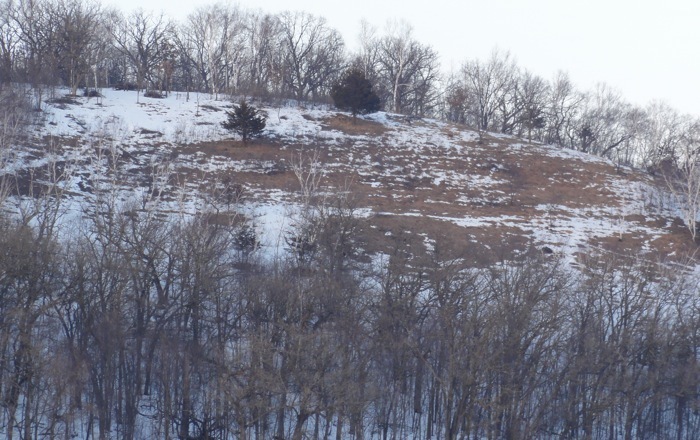 This sequence really shows how different the conditions are on those south-facing prairie hillsides. They lose their snow very early in the spring; and they get lots of sun, so they dry out quickly. 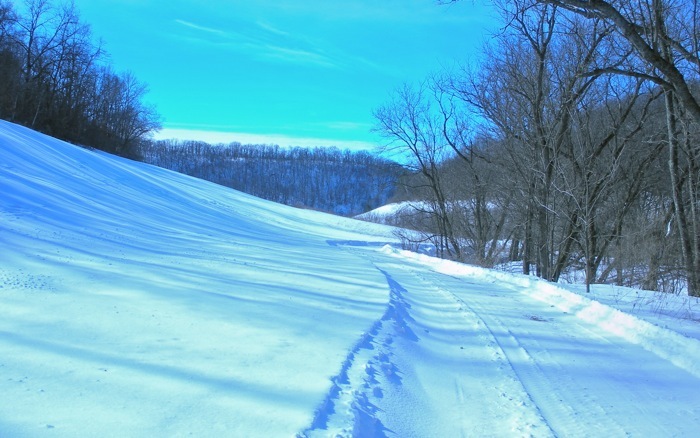 It’s easy to see why those conditions would support dry prairie plants and animals. I even saw one cool little moth – inside – not outside. It must have been a caterpillar or a pupa on some plants that I brought inside last fall. 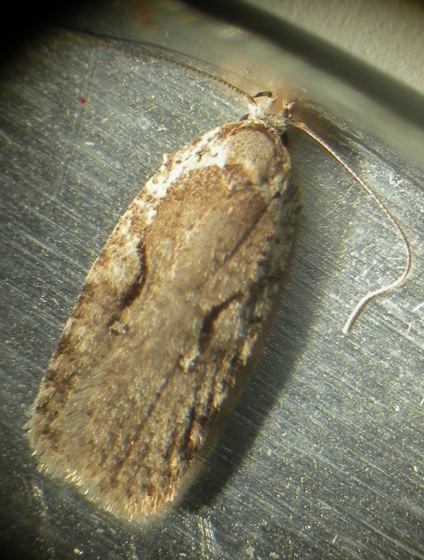 It’s called a Curved-line Agonopterix Moth. Very small and brown, but the first moth I’ve seen in months. Here’s one of Mike’s nice sunset photos. 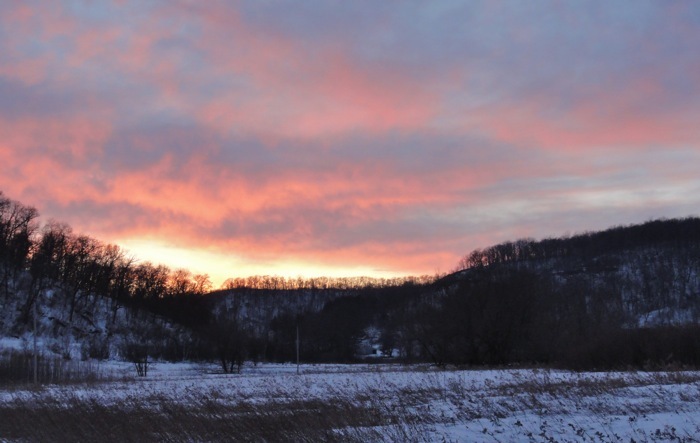 We take our afternoon walk just as the sun is going down, so we’ve been seeing a lot of beautiful sunsets lately.